According to the WWF, the Republic of Ghana has lost 90% of its native rain forest over the last 50 years and Ghana’s remaining forests are further in decline. The Government of Ghana has therefore initiated a national strategy fighting deforestation and forest degradation and has applied for the United Nations Collaborative Programme on Reducing Emissions from Deforestation and Forest Degradation in Developing Countries (UN-REDD) in 2010. The programme aims at creating financial value for the carbon stored in forests, thus offering incentives for developing countries to reduce emissions from forested lands and invest in low-carbon development. Proof of emission reduction requires a specialised approach of monitoring, reporting and verification for large, inaccessible areas at pre-defined observation frequency, independent of local interests and weather conditions. Additionally, the correct interpretation of the data and the link with field surveys require training and capacity building in the country. 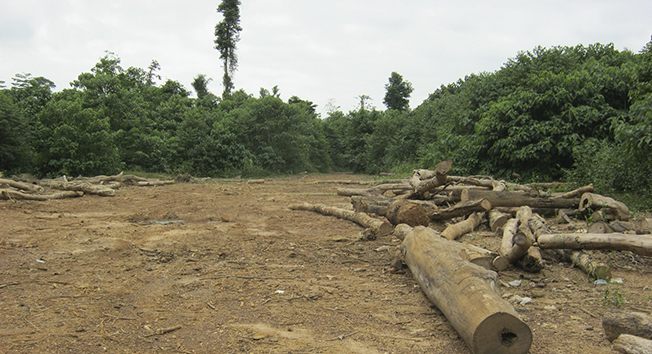 Even low-impact logging, as performed in Ghana’s forest reserves, can be a precursor to forest degradation if logging operations are followed by agricultural use of forest gaps as observed in the investigation area. This makes timely detection and monitoring of small-scale forest disturbances relevant. Also the observation frequency is critical in tropical countries where regrowth is fast. 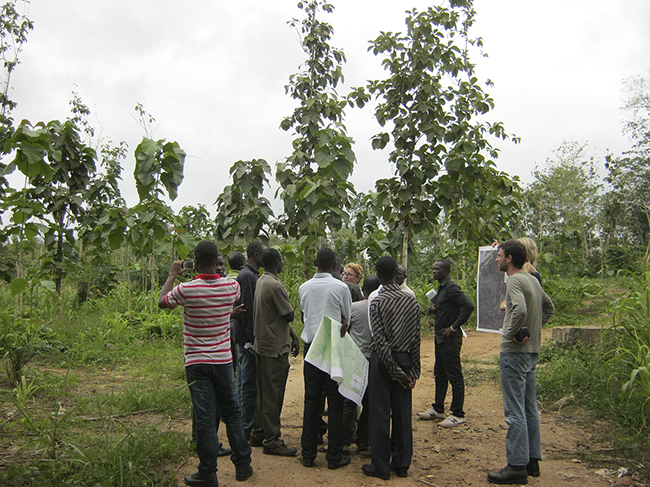 In 2011, Airbus Defence and Space joined forces with the Deutsche Gesellschaft für Internationale Zusammenarbeit (GIZ) to overcome the obstacle of forest degradation monitoring as a major driver of decline in Ghana. Based on weather-independent TerraSAR-X radar satellite data allowing for frequent observation of endangered forests, the experts of Airbus Defence and Space were able to detect subtle forest disturbances over large areas. Newly-acquired TerraSAR-X StripMap images with 3m resolution were compared with archive datasets, facilitating the detection of even small-scale variations. Airbus Defence and Space implemented an Amplitude Change Detection process in order to automatically detect changes in the forest canopy used as indicator of small-scale selective logging or other disturbances. The radar signal of undisturbed forest remains fairly stable over time, whereas new gaps in the canopy or cut of a dominating tree causes significant changes in the backscatter signal. The substantial change in the backscatter signal due to varying canopy surface allows for a robust detection of forest disturbances. Changes detected were validated during field trips with Ghanaian trainees and staff from the forestry commission. The project has shown the invaluable benefits and efficiency of TerraSAR-X data for reliable tropical forest monitoring - no matter how remote or difficult-to-access the observed area might be. Frequent and timely change detection due to weather-independent date acquisition of TerraSAR-X. Robust detection and mapping of small-scale forest disturbances due to TerraSAR-X’s unique geolocation accuracy, very high resolution and radiometric stability. Cost-efficient solution for REDD+ reporting, combining TerraSAR-X satellite data and in-situ field measurements in multi-stage national forest inventory concepts. The project supported successful and sustainable capacity building in the country. TerraSAR-X-based forest disturbance monitoring provides an innovative method of estimating the area of forest degradation and thus supports sustainable and precise carbon accounting following international standards. TerraSAR-X data facilitates the reliable monitoring of forest resources - independent of location and weather conditions. Radar technology also supports the detection of irregular activities (e.g. mining and related logging).